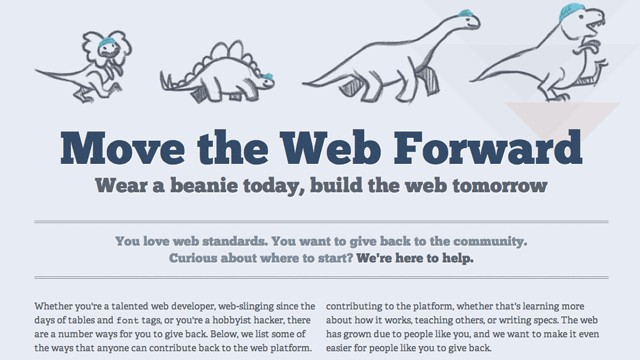 Move The Web Forward — wear a beanie today, build the web tomorrow. Whether you're a talented web developer, web-slinging since the days of tables and font tags, or you're a hobbyist hacker, there are a number ways for you to give back. A great resource for the modern web designer/developer. Stay up to date, contribute, and have fun! That's how the web evolves and we are all part of it! Learn more over at Smashing Magzine.